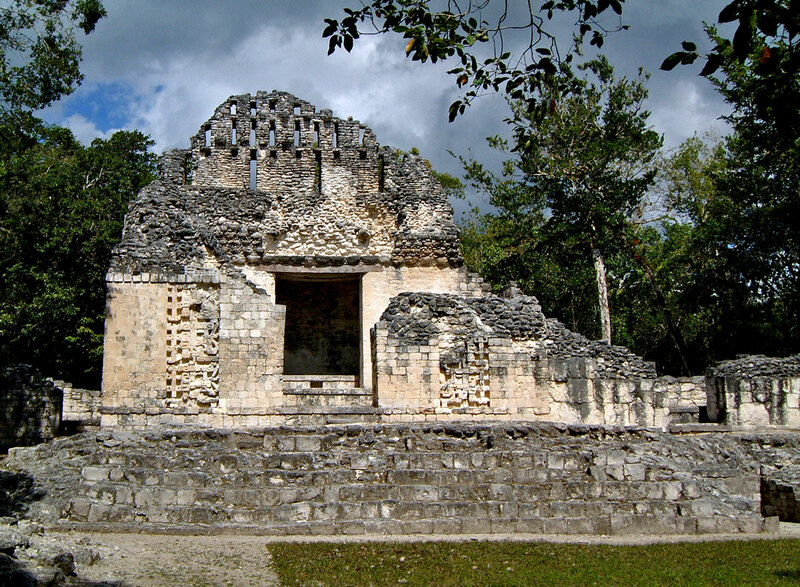 Structure VI at Chicanna still exhibits a large portion of its elegant Roof Comb. Aside from the main chamber, Structure VI seems considerably different to Chicanna’s other structures. It stands in relative isolations and appears to have been built for utilitarian purposes. See the article on Structure VI for more information.